It’s been a while since my last update: I am back to lecturing full-time now, and I really hit the ground running this term! Among other modules, I taught Literary Transformations (Year 2), Gothic and Science Fiction (Year 3) and Representing ‘the Past’ (Masters) at Cardiff Metropolitan University. I was also Visiting Professor at the Mythgard Institute (Signum University), where I taught for the first time in a synchronous online learning environment (my previous online courses are asynchronous, based on written lectures and occasional podcasts, video lectures, etc). My course was on Celtic Myth in Children’s Fantasy, in which I explored with my students the Irish and Welsh medieval mythological texts, and the ways they have been reshaped and re-imagined by fantasy authors addressing a child or young adult readership. It was great fun and I really enjoyed the real-time online interaction with my students (what a great bunch they were!). A sample lecture is available to watch for free and the entire course (all recorded lectures in video and audio format) is now available to buy here. I also ended up appearing for a guest lecture/session just a couple of weeks ago in another Mythgard course: The Lord of the Rings: A Cultural Studies and Audience Reception Approach, taught by Dr. Robin Anne Reid. Dr Reid used my book (Tolkien, Race and Cultural History) as a main textbook during the first 5 weeks of the course, and it was lovely to be invited for an extra Q&A session as part of her class to discuss my research, and new directions in Tolkien scholarship. Tolkien scholarship has indeed been enriched during the last few months by the appearance of new, significant, publications. 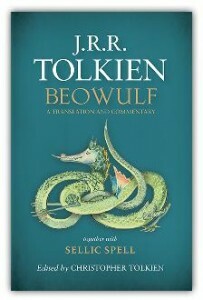 First of all, Tolkien’s long-awaited prose translation of Beowulf has been published, edited by Christopher Tolkien, together with other bonus material (commentaries, Beowulf-related creative pieces, etc.). Needless to say, the book created huge excitement in Tolkien fan and scholarly circles, culminating with the Online Beowulf Launch Party on 24t May, co-organised by the Middle-earth Network and the Tolkien Society. I contributed a brief talk on “Sellic Spell”, Tolkien’s attempt to ‘reconstruct’ the Anglo-Saxon folktale that may have inspired motifs and the wondrous elements in Beowulf. The video of my talk is available to watch online here. The Journal of Tolkien Research (JRT) has now been launched. This is an open access electronic journal published by ValpoScholar, the publishing and institutional repository of Valparaiso University (supported by Bepress). The editor is Brad Eden and the book reviews section will be edited by Douglas A. Anderson. I am delighted to be sitting on the editorial board. See here for guidelines on how to submit, how to “follow” the journal, etc. 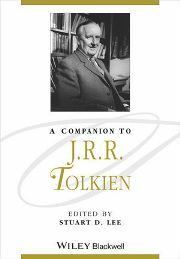 A Companion to J. R. R. Tolkien, edited by Stuart D. Lee (Wiley-Blackwell) has also just been published. This book is aspiring to be the new, complete resource for scholars and students of Tolkien, as well as fans. It covers Tolkien’s life, work, dominant themes, influences, and the critical reaction to his writing. Themes explored include mythmaking, medieval languages, nature, war, religion, and the defeat of evil. The Companion also discusses the impact of Tolkien’s work on art, film, music, gaming, and subsequent generations of fantasy writers. I contributed Chapter 23 on “Later Fantasy Fiction: Tolkien’s Legacy”, in which I explore Tolkien’s influence on later fantasists such as Alan Garner, Susan Cooper, Diana Wynne Jones, Ursula K. Le Guin, Philip Pullman and J.K. Rowling. A paper at the “Tolkien at Kalamazoo” sponsored sessions during the 49th International Congress on Medieval Studies, at Kalamazoo, Michigan (8-11 May 2014). My paper was titled: “Where Is Avalon? Tolkien’s Otherworld in the West and The Fall of Arthur”. It examined possible sources for the mysterious death of Arthur (or survival in Avalon?) in the Arthurian legend and Tolkien’s retelling. I was also very proud to listen to my PhD student, Andrew Higgins whose paper was titled: “Approaching ‘Se Uncuthaholm’: Tolkien’s Early Study of Anglo-Saxon Poetry and Prose as a Source for the Invention of Ottor Waefre”. His paper was very well-received and sparked a lot of discussion. A lecture on Tolkien and Kipling for the “Exploring the Past” free lecture series at the Cardiff University Centre for Lifelong Learning, on Wednesday 22 January. The lecture was titled: “Tolkien, Kipling and Romantic Anglo-Saxonism: two ‘mythologies for England’”. It was great to be back at Cardiff University (where I taught for a long time before my current post) and see former colleagues and students. Also, I reviewed the newspapers for BBC Radio Wales’ Good Morning Wales Programme on Saturday 1 February and Saturday 15th June. These reviews are always great fun to do! Last but not least: have you seen the new, revamped website of the Tolkien Society? It’s really worth a visit! (or two, or three!) It looks really great, it’s very user-friendly and it now includes blog posts from notable bloggers in Tolkien scholarship and fandom.